Garlock GYLON 3530 PTFE with a graphite filler. 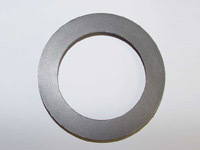 A high performance gasket sheet of PTFE with a graphite filler. Withstands high concentrations of hydrofluoric acids and other glass-dissolving media.